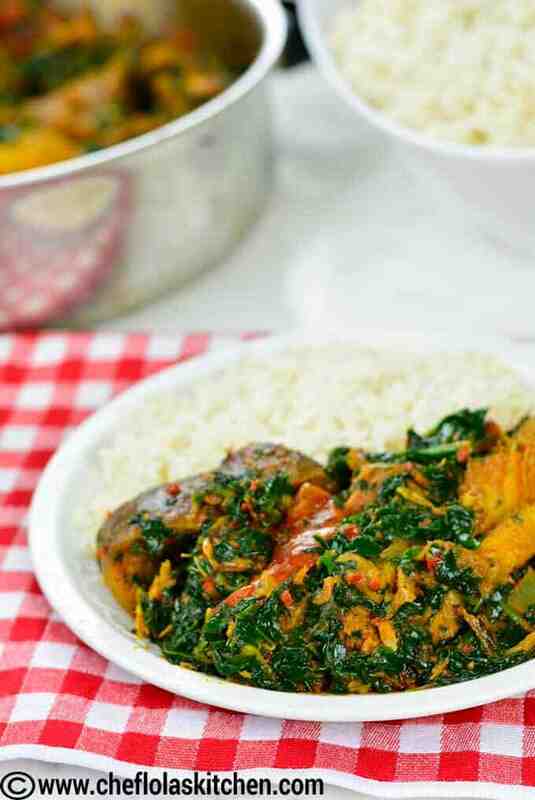 Efo riro is derived from the Yoruba language in Nigeria. 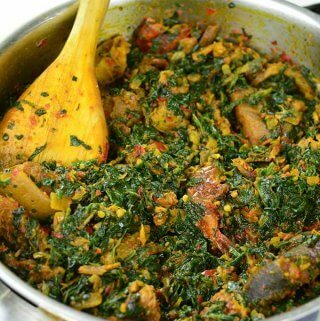 Efo means ”Green leafy vegetable” or ”spinach”, and riro, means ”to stir”. 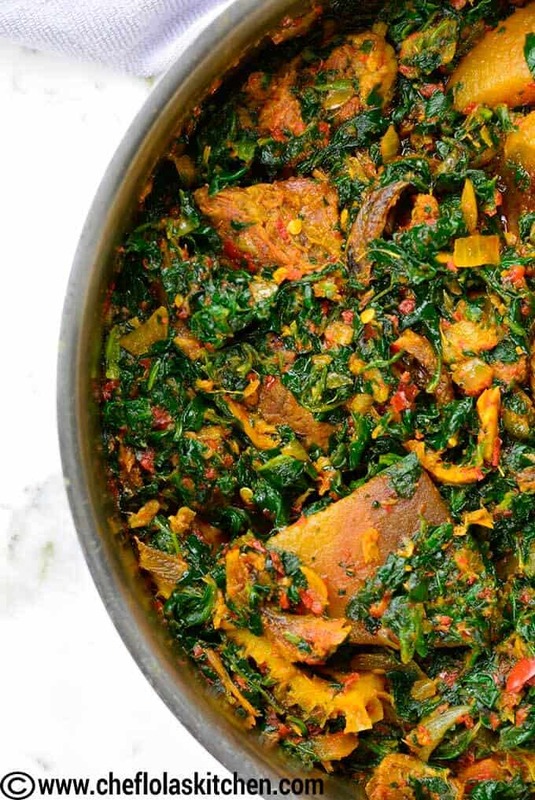 So basically, Efo riro simply means ”stirred leafy vegetable”. However, we just don’t stir this by itself, we stir it in a rich pepper sauce which is loaded with Meat, Crayfish, Dry Fish, and other Meat or Fish of Choice. A fermented traditional condiment called Iru (locust bean) is usually added to this stew which adds a wonderful depth of flavor to the stew. However, a number of people try to shy away from this super healthy condiment because of the smell. If you are not a fan of Iru you can skip it. 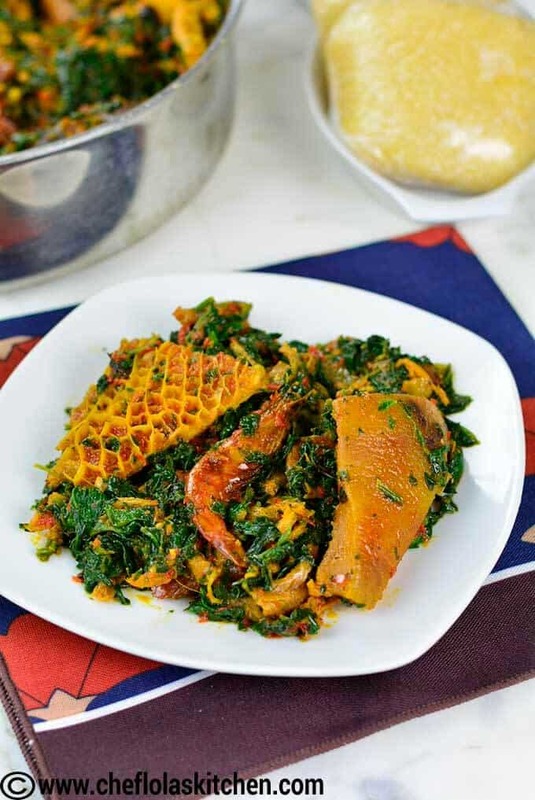 Also, Crayfish is almost a must for the traditional Yoruba style Efo riro, however, if you don’t have access to it, I will suggest you use smoked Fish or Smoked Turkey to give your stew the much-desired umami flavor without adding seasoning cubes. 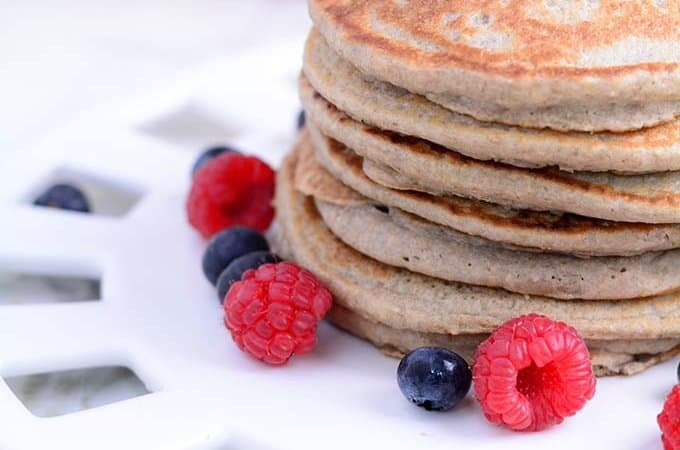 Get all your ingredients together: The boiled Meat, Fish, Turkey, Chicken or any other choice of protein. Heat up the Oil: I like to heat up my Oil a bit. I’m not a fan of bleaching palm Oil so I simply add the Onion once the Oil is hot and while the Onion is cooking in the Oil, the palm oil too is cooking. That does the trick for me. Fry the blended peppers: I wish the computer has a function to show emotions – emoticons are not strong enough to show the type of emphasis I’m talking about :). My emphasis is on fryyy… You need to fry till the water in the sauce evaporates and the sauce is reduced. Please remember to pay attention to the sauce, you don’t want it to get burnt, so be sure to stir constantly till you achieve that thick consistency. Season and add the Meat and Spinach: The sauce should be seasoned at this point with all those nice spices and condiments. Add the Meat, Stockfish, and dried Prawns or your choice of protein. Let it cook so that it can absorb all the yumminess of the sauce. Then, stir in the spinach. Finally: Adjust the seasoning if there’s a need to. Remove from heat and serve. 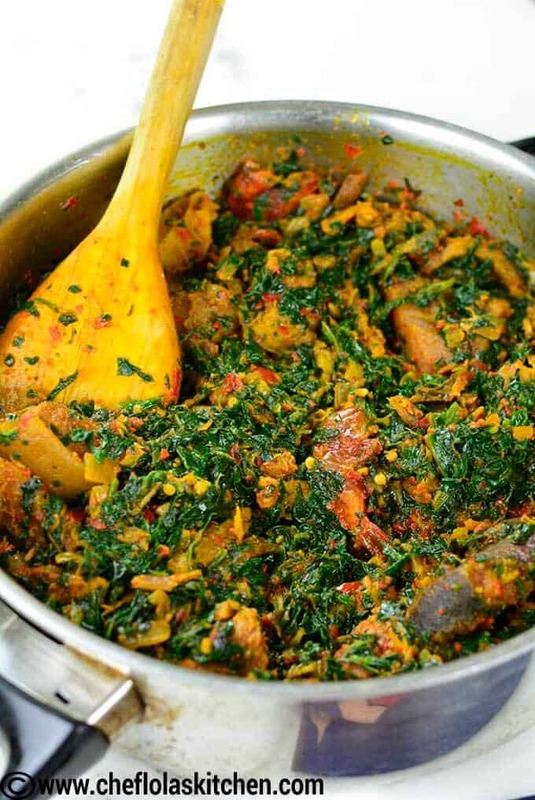 Can Vegetable Oil be used in making stewed Spinach? Ideally, Palm Oil is used for making Efo riro, however, I’m aware that Palm Oil can be difficult to get in some places. 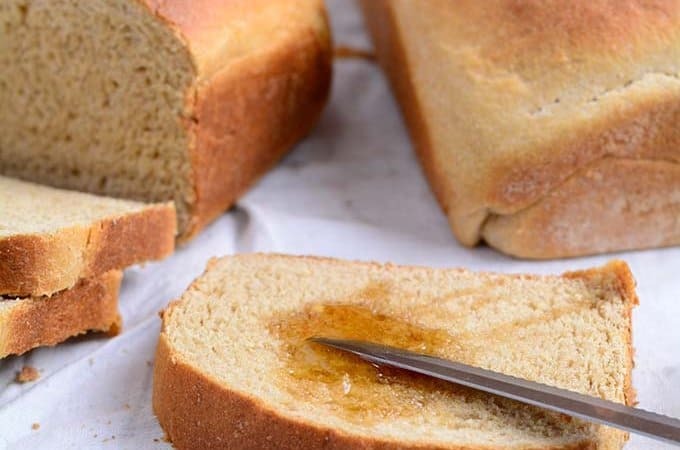 In this instance, you can use vegetable Oil. Can I skip dry fish? Absolutely! Feel free to use Beef, Chicken, Turkey or any protein of your choice. 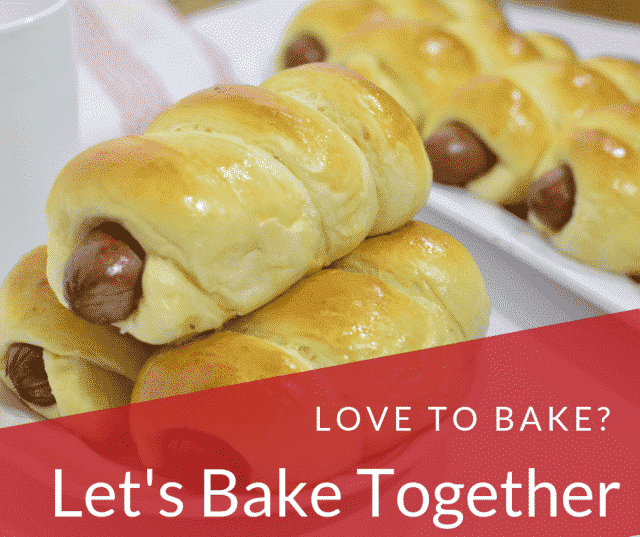 Must I add locust bean? As much as the traditional stewed spinach calls for locust bean, you can skip it if you can’t find it. I usually blanch my Spinach before I stir them in the sauce – I do this by adding the cut spinach in hot boiling Water on a high heat then I take it off the heat immediately it reaches its boiling point. I then pour the spinach in a sieve and I rinse it under the coldest Water I can get from the tap a couple of times in order to stop the cooking process. When frying the Onions, don’t leave it to burn. Once it turns a bit brown, continue with the rest of the process. I don’t always use Tomatoes in cooking my traditional stewed spinach. However, I see no reason why it can’t be added especially if you are making a lighter version of this stew. I love to use coarsely blended peppers for my stewed Spinach so using a food processor rather than a blender will give you that coarse consistency. This stew is not a vegan stew, nonetheless, for a vegan version, I will advise you use fried Tofu or mushrooms or a combination of both. 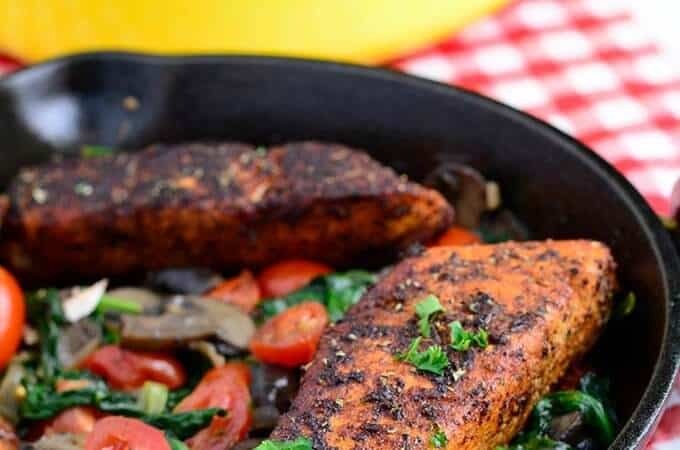 It’s very important not to leave the spinach too long on the stove top, otherwise, the Vegetables will turn brown and lose most of its nutrients in the water. 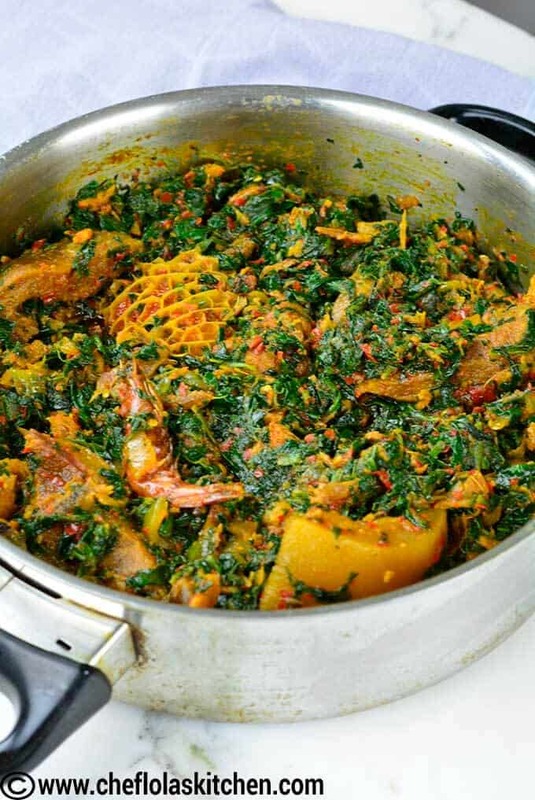 Stewed Spinach is often eaten with Fufu – a general term used to describe swallow foods like Eba, Amala, Plantain Fufu, Pounded Yam and more. 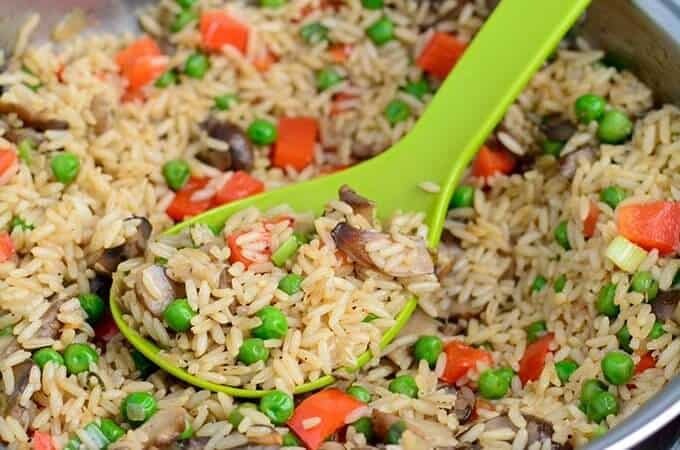 On the lighter side, you can serve this over Rice or boiled Puna Yam. 1 lb Beef A mixture of Beef, Tripe, and cow Skin. Preheat the Palm oil - I like it hot but not bleached. Add the diced Onion and stir-fry till golden brown. Add the blended peppers (check notes above for details) and fry until the Sauce thickens up. Season with the stock cube, add Salt to taste, Crayfish and locust bean. Stir until everything is well blended. Add the Meat, Stockfish, and dried Prawns and add some water or stock to thin out the sauce, then cover it up again and allow it to come to a simmer. Finally, add the Spinach and mix thoroughly. Then leave it to cook uncovered for about 2 to 5 minutes. Adjust the seasoning if necessary. 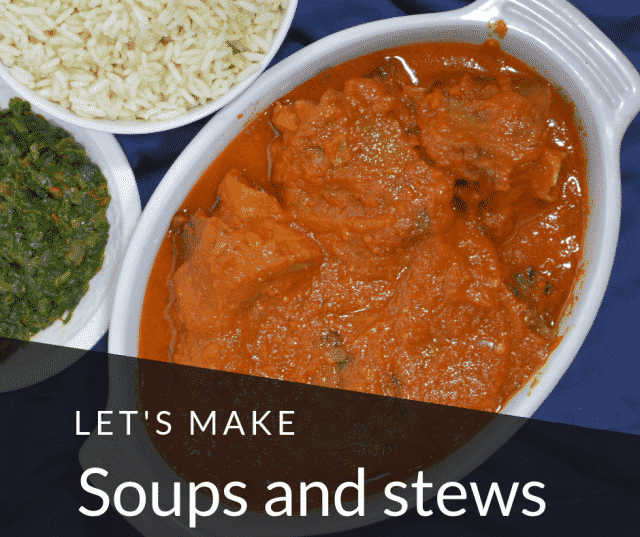 Serve with your favorite swallow like be, Amala, Fufu or Rice, Yam ... Enjoy! do you use fresh spinach or frozen chopped spinach? Hi Von, I used frozen but completely thawed Spinach for this recipe, however, you can use fresh spinach if that’s what you have.